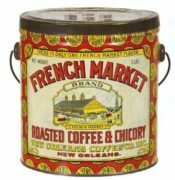 This is a very unusual Town Talk Brand Coffee tin made for The C. F. Blanke Coffee, Tea & Spice Company based in St. Louis, MO, circa 1910. 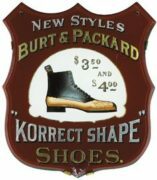 While the company was based in St. Louis, they later expanded to Chicago, Dallas, New York City, Minneapolis and Kansas City, Missouri. 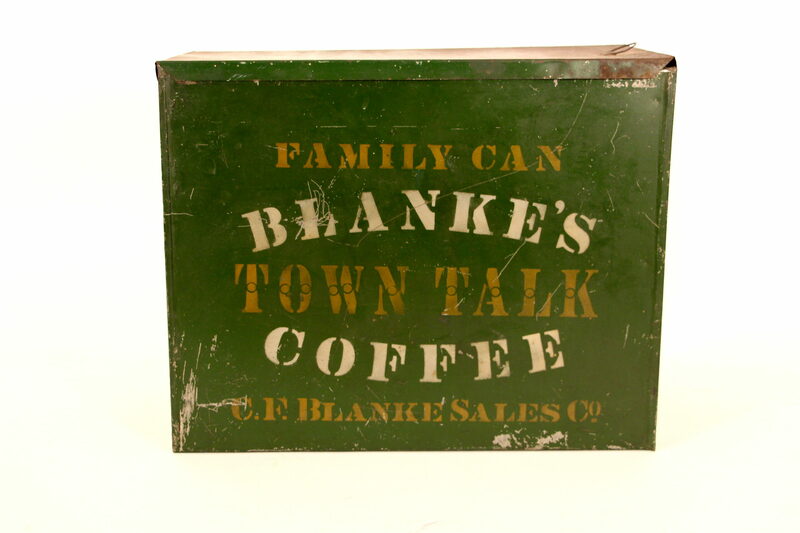 The Town Talk bin has a latch on the top and was designed for a larger family as the can says clearly it is a “family can”. 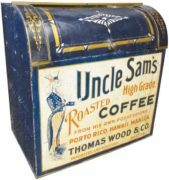 The tin container probably held close to ten pounds of coffee compared to their more customary containers which held two or three pounds. 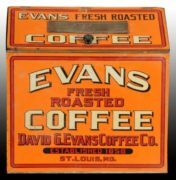 The Blanke Coffee Company was also known for their Saratoga, Fancy, and Happy Thought brands which were big sellers for them. The C.F. 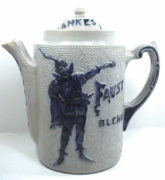 Blanke Company was a main advertiser during the 1904 World’s Fair in St. Louis. 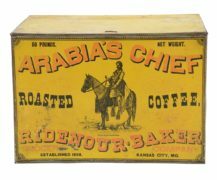 The promotional ads during the fair helped propel their coffee business nationwide.